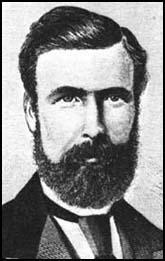 George Potter, the son of a carpenter, was born in Kenilworth in 1832. Educated at a local dame school he left at an early age before his "studies had progressed very far". His father, Edmund Potter, was only earning 3s. a day and with seven children to feed needed George to add to the family income. After working as a farm labourer he moved to Coventry at sixteen where he was apprenticed as a master joiner and cabinet-maker. In 1853 Potter moved to London where he found work as a carpenter. He joined a small local union, the Progressive Society of Carpenters and Joiners, which had its headquarters at the Rose & Crown in Tottenham Court Road. In 1854 he was elected secretary and four years later became chairman of the union. 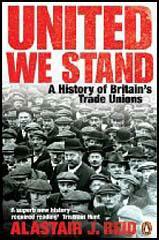 Potter came to the conclusion that to make progress it was necessary to unite the different unions in the building trade. In 1859 George Potter organised the Building Trades Conference and as a result they put in a joint claim for a nine-hour day. This led to a strike and lock-out and although the workers did not achieve their objectives, Potter achieved a national reputation as a trade union activist. Newspapers referred to him as a new kind of union leader. He was described as an intellectual and they mentioned his smart appearance and his restrained way of speaking at public meetings. 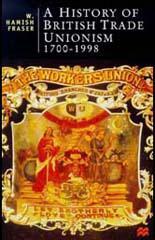 In 1861 Potter he established a trade union weekly newspaper, the Bee-Hive. Edited by George Troup, a professional journalist, the Bee-Hive impressed the London Trades Council and it was adopted as the organisation's newspaper. Even so, by 1862 the circulation was only 2,700 and Potter had accumulated debts of £827. In the mid 1860s some leaders of the London Trades Council such as Robert Applegarth began to complain about the way that the Bee-Hive always supported industrial disputes. Applegarth accused Potter of being a "manufacturer of strikes". Potter replied that any group of men who decided to strike knew the rights and wrongs of their own case, and therefore deserved the full support of the Bee-Hive. In 1865 Applegarth accused Potter of personal dishonesty through the maladministration of the Bee-Hive and telling lies about an industrial dispute in North Staffordshire. The charges were investigated by a London Trades Council committee and as a result Potter lost his seat on the executive and the Bee-Hive ceased to be the organisation's journal. After leaving the London Trades Council Potter established his own organisation, the London Working Men's Association (LWMA). Potter became president and the Bee-Hive was adopted as its journal. The newspaper, now edited by Potter, continued to lose money and in June 1868, two wealthy sympathizers, Daniel Platt and Samuel Morley, a Liberal MP, saved him from bankruptcy by buying up shares in the newspaper. As well as advocating trade union rights, the Bee-Hive also gave its support to radicals in the Liberal Party. The support that Potter gave to trade unionists made him a popular figure in the movement and at the 1871 was elected president of the Trades Union Congress and became chairman of its parliamentary committee. Potter also joined the George Howell and Robert Applegarth on the Working Men's Committee for Promoting the Separation of Church & State. In 1873 Potter was elected to the London School Board. Potter continued to edit the Bee-Hive but sales were still poor and in 1878, with debts of over £2,000, was declared bankrupt. Attempts to revive his business by publishing political pamphlets and brief biographies of leading political leaders also ended in failure. Potter was also unsuccessful in his attempts be elected to the House of Commons. His final attempt was in the 1886 General Election when as official Liberal Party candidate finished fourth in the poll. George Potter died on 3rd June 1893.